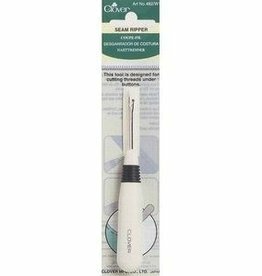 CLOVER-Seam Ripper. 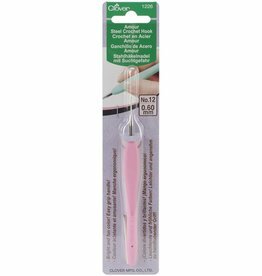 Seam rippers are perfect for ripping out seams, hems, buttons, snaps, sippers and much more without damaging the fabric. Ripper features an ergonomic handles as a vinyl safety cap. Imported. 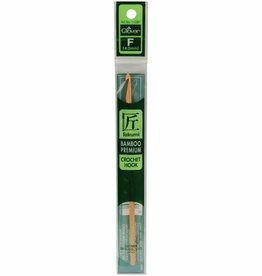 These straight pins are made of steel and feature heat resistant glass heads. The heat resistant glass heads are suited for ironing. 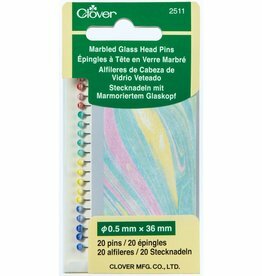 This 2.25x4.5 inch package contains 20 marbled glass head pins. Imported. 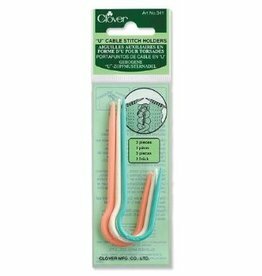 CLOVER-Designed to hold stitches at the U shaped area. 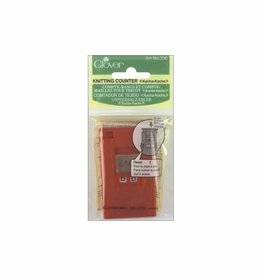 For regular sized yarns. 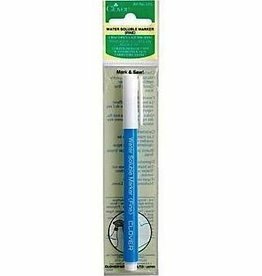 CLOVER-Water Soluble Marker. Use this for marking lines on fabric! The water soluble ink easily comes off with a damp cloth. 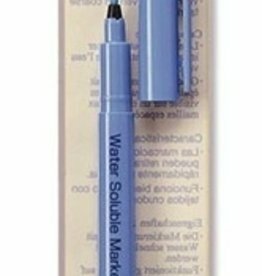 This package contains one fine point water soluble marker. Color: Blue. Imported. 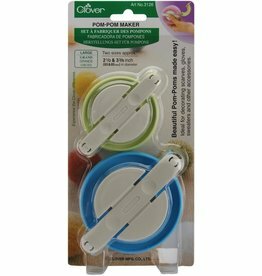 CLOVER-Push the top of the counter each time a stitch or row is completed. Each push advances the count by one from 0 up to 99. Size: 2.5Hx1.5W. Imported. 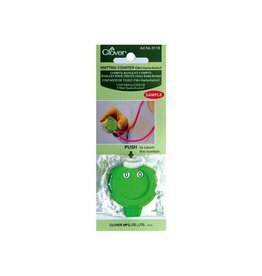 CLOVER-Pom-Pom Maker. 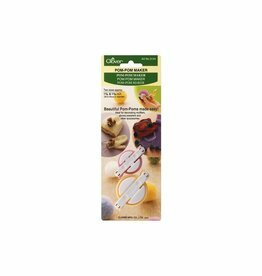 Using the Pom-Pom Maker and yarns ribbons or fibers you can create a wide variety of decorative pom poms to embellish fashions, home decor and more! Sizes: 2-1/2in (green) and 3-3/8in (blue). Imported.